Since its introduction in the 1960s, trabeculectomy has remained the gold standard of glaucoma filtering surgeries (GFS). However, this procedure remains unpredictable with results varying from patient to patient and even from case to case done by the same surgeon. It is also known that the more the risk factors for the procedure, the higher the cumulative effect on the outcome. Other weaknesses of this procedure include the safety profile, complications such as short- and long-term risks of infection (endophthalmitis, blebitis), ocular hypotony and others. Patients with cystic blebs carry a lifetime risk of bleb related infections. The key factor which determines the success of trabeculectomy is the characteristic of the filtering bleb. 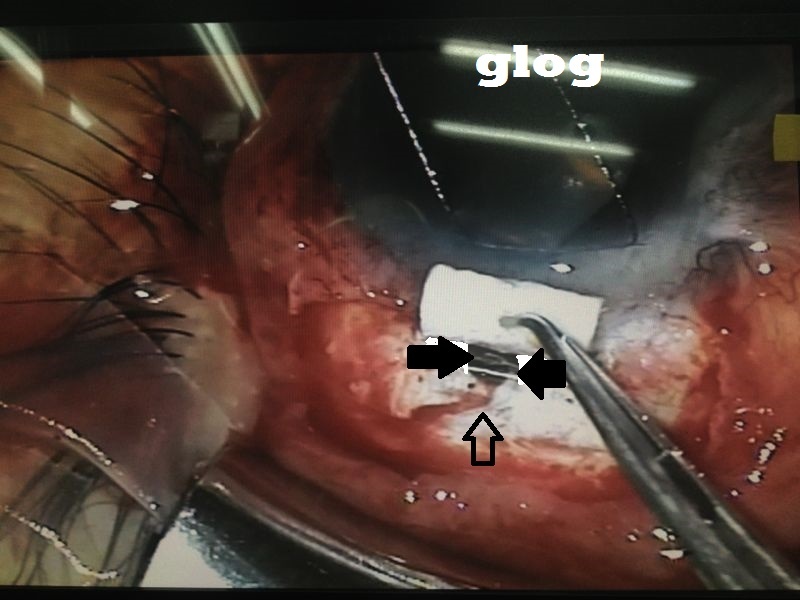 Since, bleb related complications usually influence the outcome of glaucoma filtering surgeries we have developed some modifications to the classical trabeculectomy procedure. Our method, is aimed primarily at overcoming the problems of bleb leakage and poor quality of blebs. 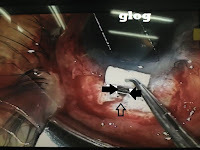 This technique targets to achieve the “much desired diffuse, non-cystic bleb” through promoting posterior flow by making an innovative “spout” configuration in the sclerostomy, tight suturing of the scleral flap anteriorly and better healing by leaving a cuff of conjunctiva near the limbus. A conjunctival flap is fashioned. Unlike the usual fornix-based flaps which are flush with the cornea, we start the peritomy about 0.5mm posterior to the limbus leaving a margin of conjunctiva there. We routinely use Mitomycin-C (Kyowa Hakko Kirin Co., Japan). The agent is diluted to a concentration of 0.02% solution. Subsequently, gel sponges soaked in the solution are applied to the episcleral tissues. The sponges are kept for 2-3 minutes, with the conjunctival flap blanketed over them by holding the edges away from the sponges. After 2-3 minutes, the sponges are removed and the area irrigated with nearly 20ml of balanced salt solution (BSS). A bevelled limbal stab incision is made at the 9 o’clock region after the Mitomycin-C is washed out. 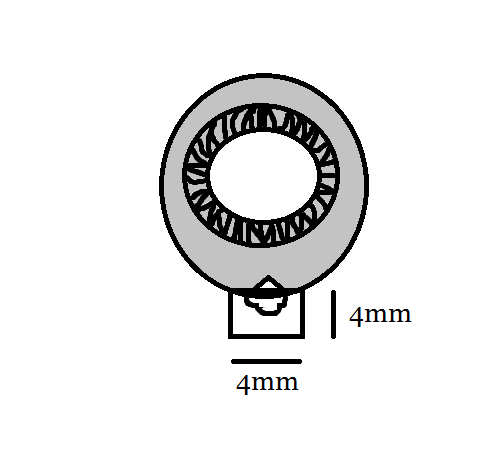 Using a 15o knife, a square scleral flap, measuring 4mm x 4mm is fashioned, hinged at the limbus. The dissection is completed using a crescent knife. Subsequently, a stab incision is made into the anterior chamber just behind the hinge of the scleral flap. Now, a Kelly-Descemet punch (1 mm diameter) is used to cut the deep sclero-corneal layer in order to perform the sclerostomy. Usually 2-3 overlapping cuts are made. Subsequently, we go back to the centre of the sclerostomy and, tilting the punch downwards, make a "half-thickness" cut in the sclera at the posterior lip of the sclerostomy. This produces a spout-like configuration in the center allowing aqueous humor to flow posteriorly, rather than towards the sides. Block arrows show sclerostomy and open arrow reveals pigment coming out through the "spout". A peripheral iridectomy is then made. The scleral flap is sutured with 5 10/0 nylon sutures. We keep the anterior 2 sutures on either side relatively tight while the remaining 3 are kept loose. BSS is injected from the limbal stab incision to titrate the flow. The sutures are adjusted to have a smooth flow through the fistula without collapse of the anterior chamber on applying pressure. This modification has two advantages. One, it directs flow more posteriorly and second, in the event the patient requires laser suture lysis, it is easier to lyse the anterior 2 tight sutures. Final appearance of the bleb. Open arrows showing the position of the peritomy. The advantages of this procedure are: (i) Aqueous is directed posteriorly by the 2 tight anterior sutures and the scleral-spout. This prevents bleb leakage and formation of cystic blebs. (ii) There is good healing of the conjunctival edges. This prevents bleb leakage also.